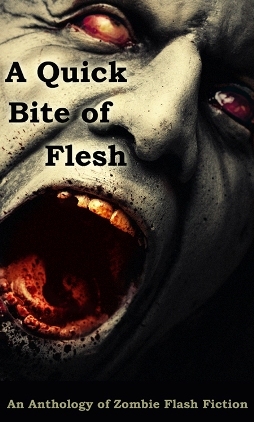 My flash story “The Embers Burn, and Gentle is the Arrow’s Stinging” appears in A Quick Bite of Flesh: An Anthology of Zombie Flash Fiction published by Hazardous Press. This was a fun story to write. I tried to imagine how someone would communicate in the modern world during a zombie crisis at the end of civilization. I took inspiration from this article about twitter and the Iranian Protests. I constructed the story in the form of tweets. This gave the story a really personal slant and I love stories that play with the form that we imagine that fiction must have. This story is presented in reverse chronological order just as tweets would appear on Twitter, but I think it works even better this way. The print version of the anthology comes out next week sometimes.